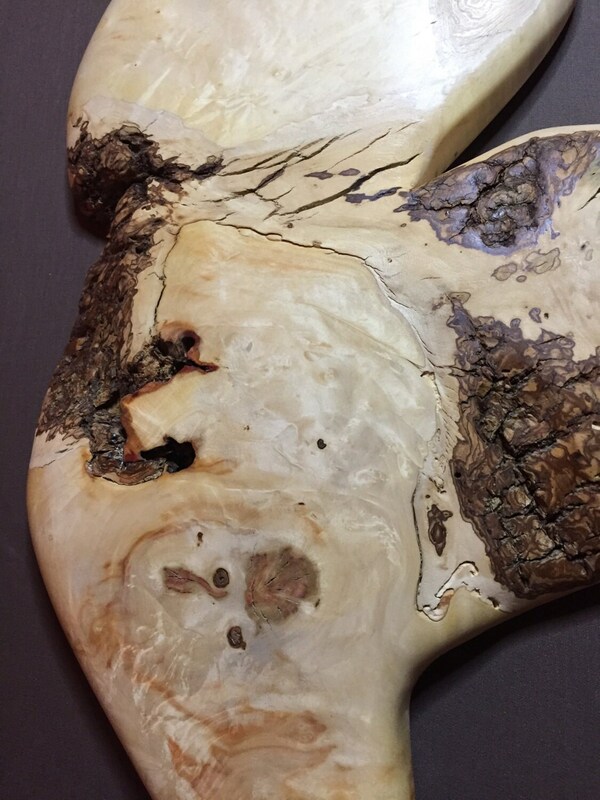 This Box Elder wood sculpture makes a perfect 5th anniversary wood gift for her. 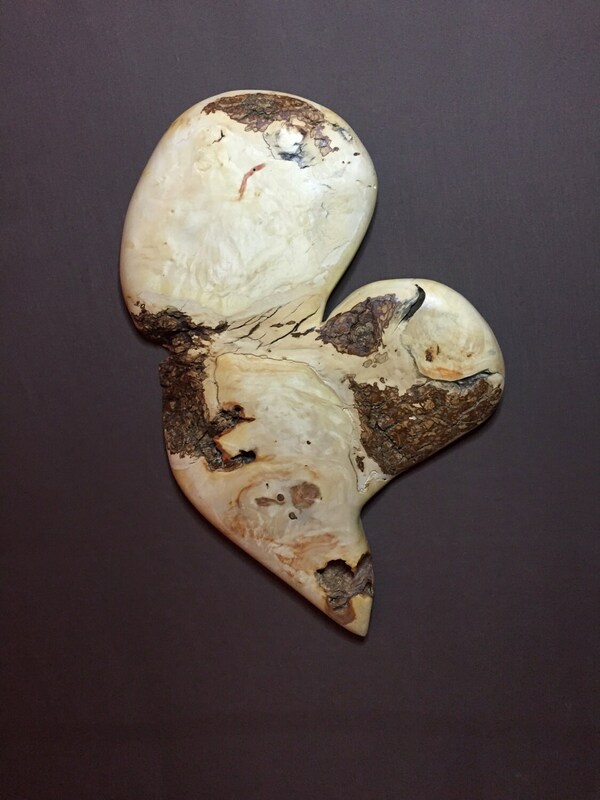 This wall heart was hand carved here in Ohio, by me, Josh Carte. 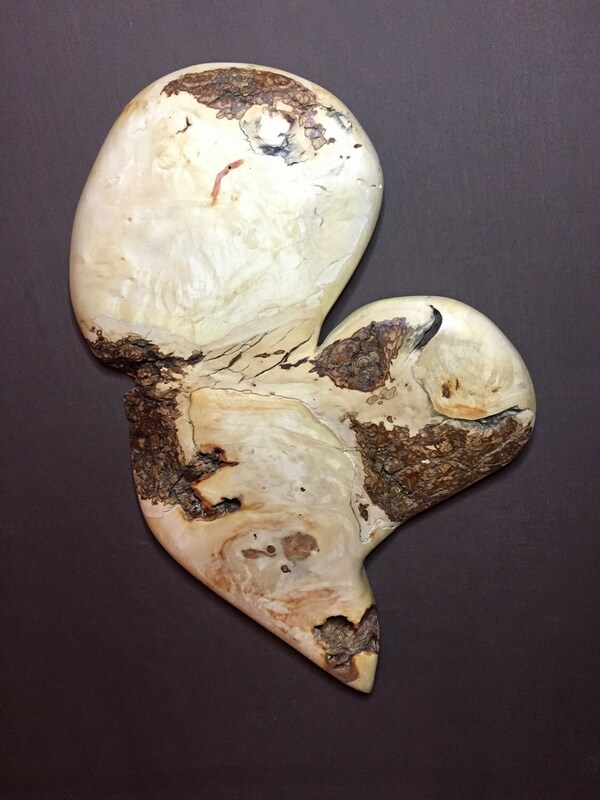 It is a wonderful piece of wall decor and makes a perfect wood gift. This heart has a really cool shape with lots of color variations! There is a lot of quilted wood to this piece. The quilted parts are the wavy lines. They are very difficult to photograph as they change like a hologram in different lighting. 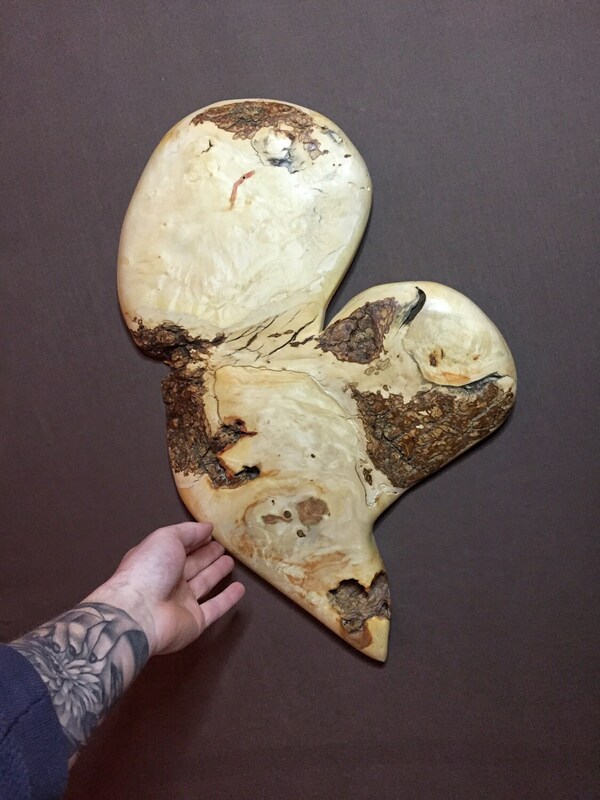 There is a little bit of blue to this heart, which is spalted wood. There are some eyes, and there are also some streaks of red. The red is in almost all piece of Box Elder. 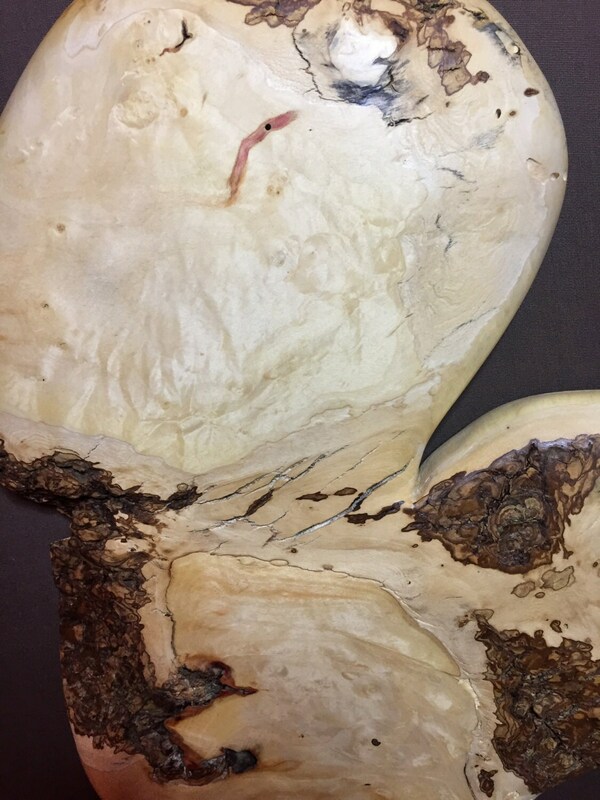 This wood is Box Elder. It is a very beautiful and rare wood. I just love the character to this fantastic wood. Be sure to view all 5 pictures! The different lighting shows the different character to the various parts of this heart.